Welcome to the website of the Rosendale Improvement Association Brass Band & Social Club. 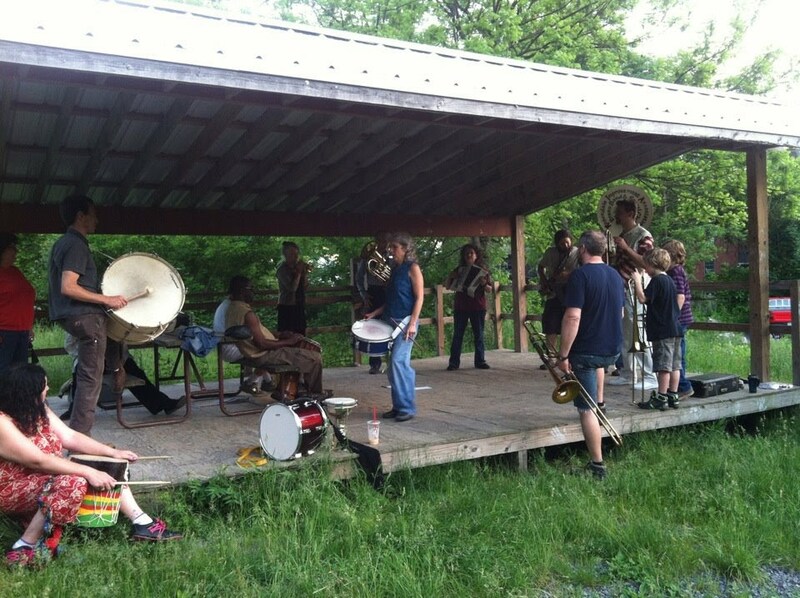 The first Rosendale Improvement Association Brass Band and Social Club (RIA brass band) invites community members of all ages and persuasions to bring drums, cymbals, brass, reed, and various instruments to form a community marching band. If you want to play with us, please inquire at the TRANSnDANCEnDRUM shop at 415 Main St. Rosendale NY, or the Redwind Blackbird Theater next door. RIA brass band believes that making music together is another way of making a good life for everyone in Rosendale.